In the summer of Star Wars and Son of Sam, a Long Island schoolgirl is found gruesomely murdered. A local prosecutor turns a troubled teenager known as JT from a suspect to a star witness in the case, putting away a high school football star who claimed to be innocent. 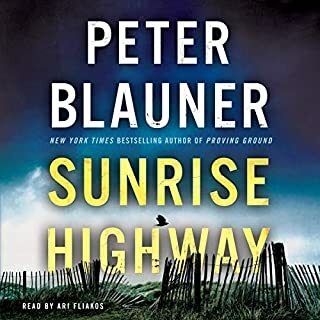 Forty years later, JT has risen to chief of police, but there's a trail of a dozen dead women that reaches from Brooklyn across Long Island, along the Sunrise Highway, and it's possible that his actions actually enabled a killer. That's when Lourdes Robles, a relentless young Latina detective for the NYPD, steps in. Boston, 1976. 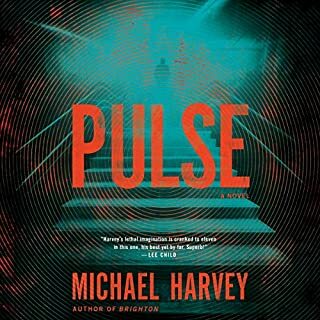 In a small apartment above Kenmore Square, 16-year-old Daniel Fitzsimmons is listening to his landlord describe a seemingly insane theory about invisible pulses of light and energy that can be harnessed by the human mind. He longs to laugh with his brother Harry about it, but Harry doesn’t know he’s there - he would never approve of Daniel living on his own. None of that matters, though, because the next night, Harry, a Harvard football star, is murdered in an alley. Destined to be a classic, this "powerfully moving" (Chad Harbach, The Art of Fielding) multigenerational debut novel of an Irish-American family is nothing short of a "masterwork". (Joshua Ferris, Then We Came to the End). Eileen encourages her husband to want more: a better job, better friends, a better house, but as years pass it becomes clear that his growing reluctance is part of a deeper psychological shift. 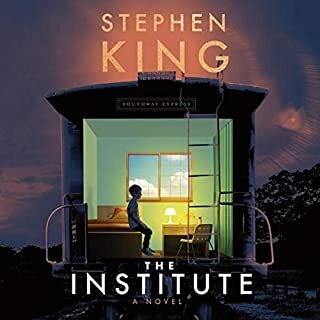 An inescapable darkness enters their lives, and Eileen and Ed and their son, Connell, try desperately to hold together a semblance of the reality they have known, and to preserve, against long odds, an idea they have cherished of the future. Through the Learys, novelist Matthew Thomas charts the story of the American Century, particularly the promise of domestic bliss and economic prosperity that captured hearts and minds after WWII. The result is a riveting and affecting work of art; one that reminds us that life is more than a tally of victories and defeats, that we live to love and be loved, and that we should tell one another so before the moment slips away. This book was absurdly depressing. 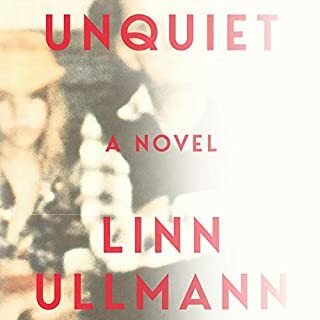 The first half was a little on the sad side, but manageable and then - WHAM - the second half makes you slog through the most depressing book ever. This title should come with a warning!!!! Granted, it's fabulous writing, but for me it wasn't worth it!!! I do not recommend this to a caregiver in a family. The brutality of the day to day suffering is almost unbearable. The rest of us can be grateful this isn't our fate....yet. It was so easy to feel superior as each made what seemed obvious bad decisions as they dealt with the emptiness within. The cover art of houses comes clear as the story progresses. That feeling that a new, better place is the answer to what ails you. That the problems are outside and so are the remedies. But trying to dismiss the mother as a self-centered, wrong-headed person was impossible once I was shown the condition of her feet. Would I have been as hard-working and determined given the same circumstances? Mare Winningham has just the right amount of steel beneath that soft, crisp voice of hers. A wonderful match for these flawed characters. Not a "happy" read/listen but there is truth in it. In this narrative story, there is no great mystery to resolve, no thrilling moments of climax. If these are things you need in a story, don't select this one. However, if you enjoy life stories and how the characters in these stories chart the direction of their lives, this is one you won't want to miss. 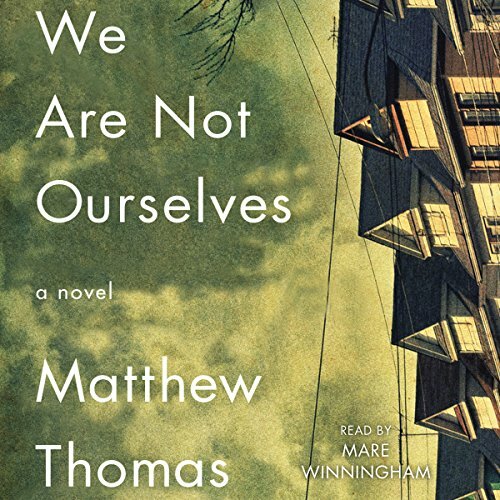 Matthew Thomas has written a really good novel. This is a narrative (well performed by Mare Winningham) about a girl who works hard, has many life challenges and fantasizes about her future. As a woman, she cannot seem to stop the fantasizing about what might be in order to enjoy her present life. She is perpetually seeking perfection, or more, or different than she has in the moment; from her husband, son, neighbors, employers, friends. Eileen Leary cannot just live for the moment, enjoy the moment, and relish what is present instead of wishing for what might be. In the end, she has regrets. Many, many regrets. In the end, these things shape the future life of her son. Thomas' writing exposes us to how this obsession with "what might be" can shape lives and outlooks on life. Perhaps it is a life lesson neatly presented to us as "We Are Not Ourselves." My mom has Alzheimer's and this book deceived so well the feelings and emotions. But this book is so much more than a story involving a character who develops Alzheimer's. It a story of deep, abiding and respectful love; dreams; disappointments. I loved this book so much. The narrator is fitting. Her voice gives Eileen a smoky quality that adds to the story. If you could sum up We Are Not Ourselves in three words, what would they be? Eileen, because she was the energy of the three generations. She was the glue that connected her father to herself and to her son to become a teacher whhile managing a 51 year with Alzheimer's disease. Have you listened to any of Mare Winningham’s other performances before? How does this one compare? Ed's letter written to his son when he first learned about the disease not to be given to him until after his death. The book was very good, but for me would have been just as effective without the sexual references. We all know about those and don't need the distraction. It is the only thing that might keep this book from being a Pulitzer. What made the experience of listening to We Are Not Ourselves the most enjoyable? The author's writing, The language the writer used to weave the story was unbelievably beautiful and touching. Even the most mundane activity was described in a fascinating way. No, but her melodic performance brought out the writing in a beautiful way. Our story will help you find who we should be, just as it did for us. I can't wait to read another book by Matthew Thomas. “We Are Not Ourselves” is about life in full; i.e. not just coming of age, adulthood, or death but the complete cycle of life. Its author, Matthew Thomas, is in his thirties when the book is published. He said it took him ten years to write it. It is a story of the baby boom generation, a generation from which Thomas is product more than participant. In spite of a generational difference, Thomas gets the story right; i.e. those of the baby boom generation will see themselves in Thomas’s novel. Though the book is written by a man, the cycle of life is revealed by the character of a woman. The primary teller of the tale is Eileen Tumulty (narrated by Mare Winningham), the main character. Only in the last chapter, do we hear from an alter-ego of the author. It is the son of Eileen who becomes a teacher; a teacher of literature in his mid-thirties. “We Are Not Ourselves” because life happens; i.e. parents are not perfect, children grow into their own adulthood, lives end, and life goes on. We are many selves created by the exigencies of life. Eileen. Her strength in all situations, having to grow up so quickly, her work ethic, her perseverance. Not that I can rememember. Who was the most memorable character of We Are Not Ourselves and why? Ed...his descent into losing his memory. I have listened and read so very many books in this last year and I cant remember one that has stayed with me as long as this one has. (Spoiler alert)The topic of Alzheimers is interesting to me as I am aging, and those around me are dealing with it within their families. But, it wasn't just that. It was the family dynamic between the main character Eileen, her husband Ed, and her son Collen(spelling?). This book is so well written. As you enter the world of each character through the author's telling, and then hear about it, in the same way through another characters interpretation of the same- you realize, or at least remember, how different everyone's experience is in a family. We are Not Ourselves follows the life of a woman and man, through their ups and downs, and their disappointments with each other. They have a boy, and they extend those circumstances as we all do in the raising of this child. Before the characters in the story do, we begin to realize that something is wrong with Ed, and, well...that it is his mind--this most cherished part of his intellectual life. What follows is such in incredible narrative of his descent, and the effect it has on all who surround him. An elegiac novel to a committed wife/mother whose husband suffers early onset Alzheimer's. 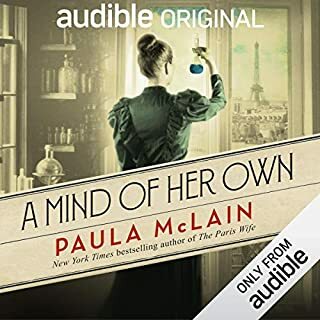 I could relate to her pain and loneliness as all the past and passion slowly slipped away and found particularly poignant her coping with the loss of her dreams of a dashing, successful professor husband with a beautiful home in the perfect suburb. A pure work of artistry in development of the characters of the wife, the husband and their son. My one complaint: it is a bit slow. 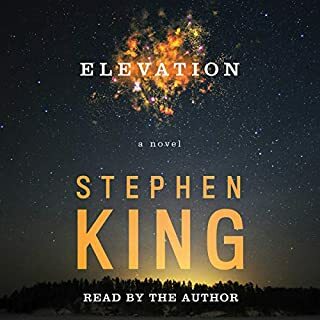 The narrator's voice was okay, however the gaps between the end of a chapter and the next were so long that I kept checking to see of I needed to recharge my device. Because the narrator spoke so slowly, the story coud cure insomnia.